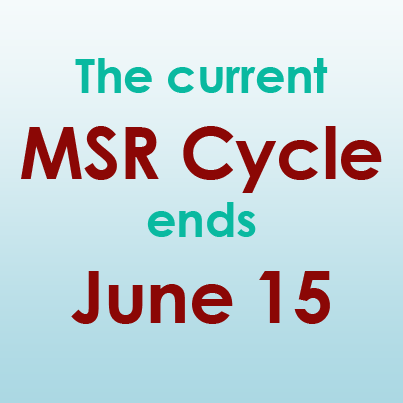 Attention PGA Professionals: The current MSR Cycle ends June 15, 2015. Looking for last-minute MSR opportunities? We have two education seminars and a PGA survey that you can participate in. We are fortunate to have Mike O’Donnell, Senior Director of Player Development for the PGA of America at The Home Course on May 13. Mike presents an outstanding seminar that will help you run your business better. Use your PGA.org login to access the PGA Annual Operations Survey. As a result of PGA Professional participation, this study is recognized as the industry’s leading source for golf operations and facility data, providing you with invaluable information to help you track market performance. In an effort to streamline the survey process for you this year, you will have the ability to answer only the operational areas in which you manage, such as Overall Financial Performance, Golf Operations, Golf Course Maintenance, Food & Beverage, Membership as well as some general statistics about your facility. Check the education page for a full listing of events throughout the year, as well as links to the Chapters’ education pages where you may find additional opportunities.